You are here: Home / Christian Talk / What If Jesus Were King? What If Jesus Were King? 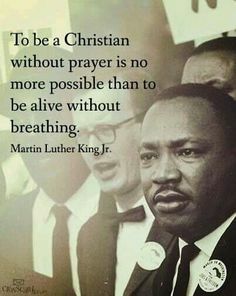 (ThyBlackMan.com) Today, as the nation pauses to honor the late humanitarian and civil rights leader, Dr. Martin Luther King, Jr., I am forced to return to the life and legacy of Jesus Christ, whose struggle for peace and justice was not unlike that of Dr. King in the twentieth century. Indeed, there are more similarities than not between the times in which both lived: a disparate political system bent on subjugating the least; an inexorable “government shutdown” that saw people relegated to the bottom rungs of society; a caste system which pitted the haves against the have-nots. Yet perhaps the most troubling of realities present then – and now – was the religious institutions that remained aloof and distant from the needs of the disinherited. This declaration is as striking as it is self-evident; and this is what Jesus and Dr. King stood, and ultimately died, for. It is unfortunate that their mission and method has been, in a sense, “sanitized” or watered down to neutralize its radical aspect. In almost every commercial endorsement of Dr. King’s legacy, we hear only of his “I Have a Dream” speech; filling the airwaves and social media from entrenched positions both on the left and right of the American body politic. Dr. King was much deeper than a dream. Indeed, in the year before his assassination, Dr. King often deplored the travesty of a political system that kept not just blacks, but Mexicans, poor Whites, Native Americans and others at the bottom of the social order. In fact, Dr. King was preparing to launch the “Poor Peoples” Campaign as a way of calling for a radical redistribution of America’s wealth. Being born into the wrenching and life-draining poverty of his day, Jesus Christ saw up close and personal the misery his people suffered at the hands of the institutions that governed them. He often railed against the injustices and even dared to confront merchants in the Temple whom he saw as the caretakers of institututionalized injustice. Both Dr. King and Jesus Christ stood in the prophetic tradition, railing against inequities as they were and demanding, like Amos, that “justice roll down like waters and righteousness like a mighty stream. (Amos 5:24, NIV). Both of their messages were radical, and both messengers were visionary, transformative and action-oriented. Ultimately, their ideas were intended to uproot injustice and make change happen. We must wonder if the change Dr. King and Jesus demanded has come and gone. We must wonder if the instititutions or movements they led have become silent co-conspirators of the carnage it was intended to eviscerate. “Life’s most persistent and urgent question is, What are you doing for others?” King once said to an audience in Montgomery, Alabama in 1957. If Jesus were King, we would not turn a deaf ear to things as they are and would act to bring about the beloved community both stood for. The Christian theology concepts of the trinity, Deus pater est( i.e. God the father )? Deus natus est ( i.e. God the son )? Deus espititu sanctum ( God the Holy Ghost ), are not so much a spiteful attempt to distort the Gospel by Christians, Agnostics, and Atheists but are merely misunderstanding, or disbeliefs by this collection of religious skeptics. In Christian theology, God is three Persons – the Father, the Son, and the Holy Ghost. So all have power and authority, as they are God in one essence. This is commonly misunderstood by non-Christians, who incorrectly deem the three Persons of God as three different gods, or who deliberately mis-state the Trinity in a spiteful attempt to distort the Gospel.